Paul Ryan is on his way out so he’s on a kamikaze mission to push through mass amnesty. 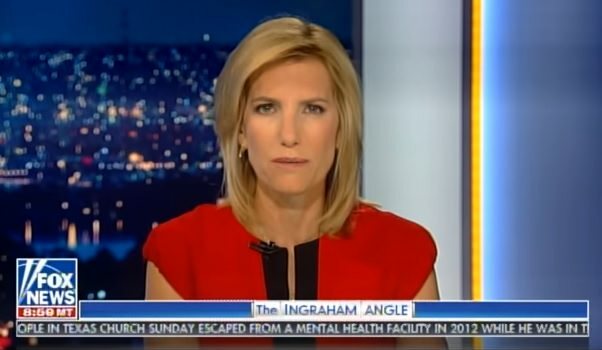 Laura Ingraham warned the President Monday. Ingraham tweeted: Warning to @realDonaldTrump: An effort is underway by liberal Repubs (+Dems) on a mass amnesty in the House thru a “discharge petition,” supported by @SpeakerRyan. Total travesty & mid-term turn-out killer. Warning to @realDonaldTrump: An effort is underway by liberal Repubs (+Dems) on a mass amnesty in the House thru a “discharge petition,” supported by @SpeakerRyan. Total travesty & mid-term turn-out killer. Laura Ingraham then fired off a second tweet clarifying her first one about Speaker Ryan. RINOs and Dems in the House are essentially forcing a vote on mass amnesty. More than a dozen House Republicans are issuing a rare challenge to their own party’s leaders: Allow immigration bills to get a vote now, or we’ll force a vote. They’re circulating a petition to do just that, and it’s only seven signatories shy of overriding House Speaker Paul D. Ryan’s (R-Wis.) opposition and forcing votes on a variety of immigration bills to provide a path to citizenship for “dreamers.” It would be the first time the House has passed an immigration bill since Republicans came to power in 2011. Americans don’t want mass amnesty. We voted for Trump to end the amnesty insanity. President Trump ran his 2016 presidential campaign on building the wall and putting America first. “I want the people in the United States that have children, I want them to have dreams also. We’re always talking about ‘DREAMers’ for other people. I want the children that are growing up in the United States to be dreamers also. They’re not dreaming right now,” Trump continued.